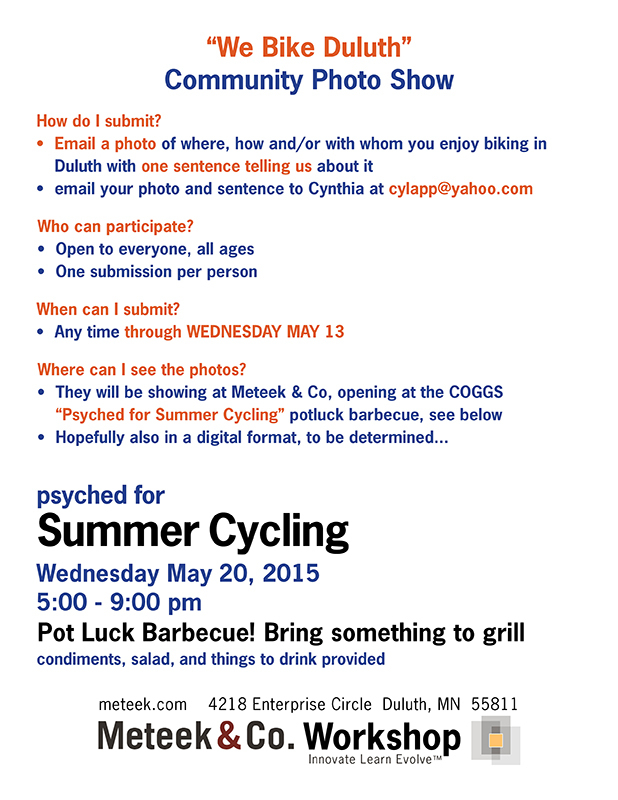 It’s time for our third-annual “Psyched for Summer Cycling” event at Meteek & Co. with COGGS! The past two years have been a blast, so we are back at it for more fun. 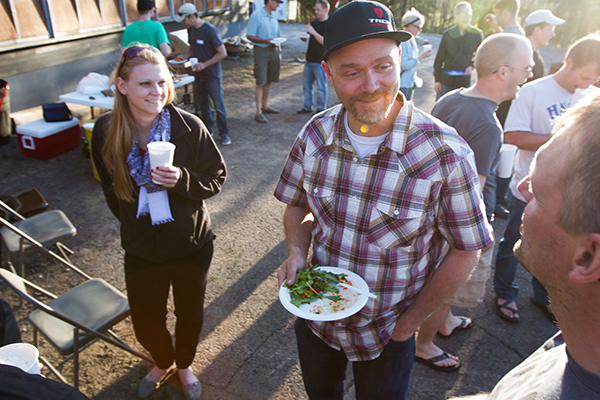 Bring something to grill, we provide condiments, salad and drinks. 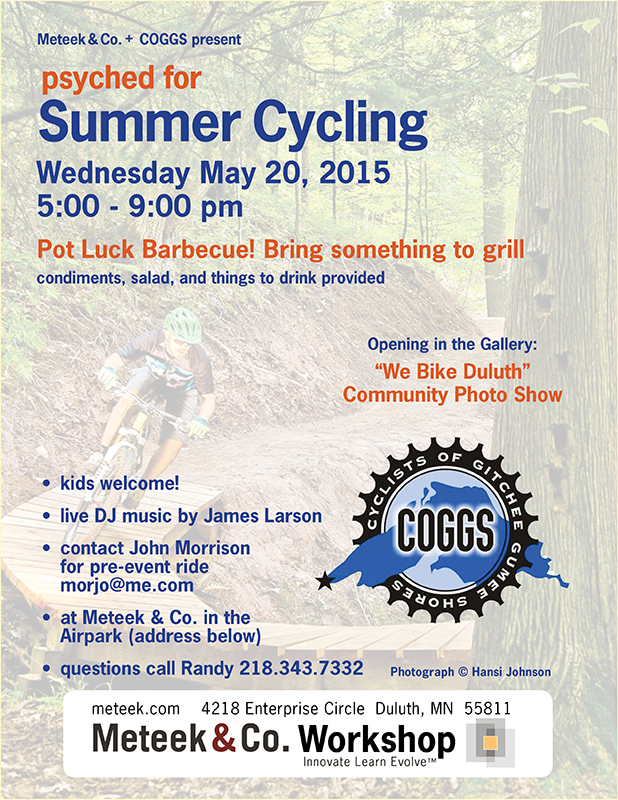 Kids are welcome, live DJ James Larson will be jamming the vibe, and remember to submit a photo of why you like to bike Duluth — see below for more details on that.